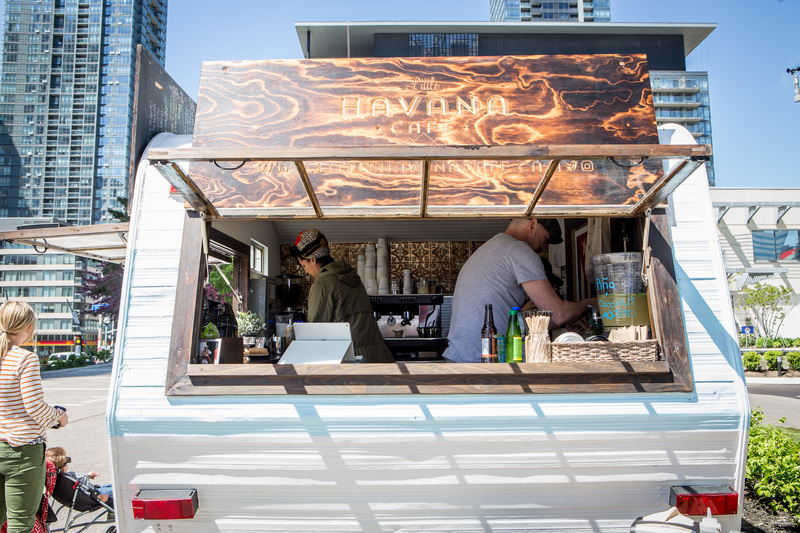 Food trucks in Toronto and Hamilton know a thing or two about taking two slices of bread to the next level. From crispy pork belly sandwiches to chicken and waffles there’s no shortage of good sandwiches to choose from. 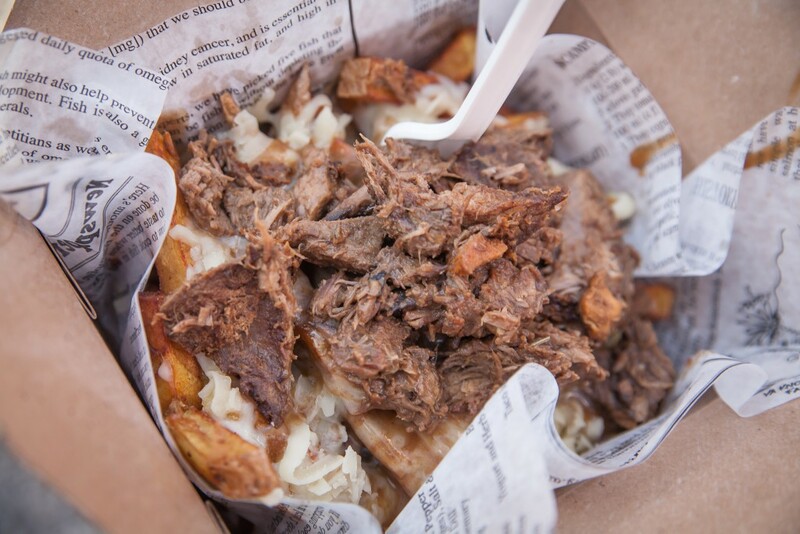 Here’s a round-up of some of the must-try sandwiches from Toronto and Hamilton’s food trucks. Hogtown Smoke offers up some of the best BBQ you can find in the city and their Carolina Pulled Pork Sandwich epitomizes what they do right. It’s a classic spin on the offering – juicy, flavourful and just the right amount of smokiness. Jonny Blonde’s signature sandwich, The Peachy Blonde, is served on homemade grilled flatbread with some of the juiciest chicken you’ll find – but the real showstopper is the fresh peach chutney and chimichurri aioli they layer on top. Known for putting a twist on anything between a bun, Fidel Gastro does a Captain Belly Sandwich with crispy pork belly and creamy slaw. They don’t always have it on the truck but if you see it, don’t think, just order it. Gorilla Cheese slings some of the best grilled cheese sandwiches you’ll find. The Lumberjack is my go-to with cheddar cheese, bacon, slices of granny smith apple and maple syrup sandwiched together between custom made bread. The Dirty South Truck’s signature item puts a twist on a southern classic with their Dirty Southern Love sandwich, a triple decker chicken and buttermilk waffle sandwich. This unique offering is as great to look at as it is to eat. The most popular item on the meat-laden menu is their Bacon Fatty sandwich. Don’t go judging it just by its name because the hickory smoked bacon wrapped meatloaf sandwich on grilled garlic bread will make you regret not ordering it. A street food take on the Italian classic, Rome’N Chariot’s Eggplant Parmesan sandwich will transport you to Italy but if you prefer meatier fare, you can always go with their Veal Parmesan sandwich. Get the Dirty Bob Sandwich – a grilled brisket sandwich with swiss cheese, sauteed mushrooms and onions. This truck’s Crispy Catfish Po’Boy with creamy slaw won best sandwich at the 2015 Field Trip Music Festival. 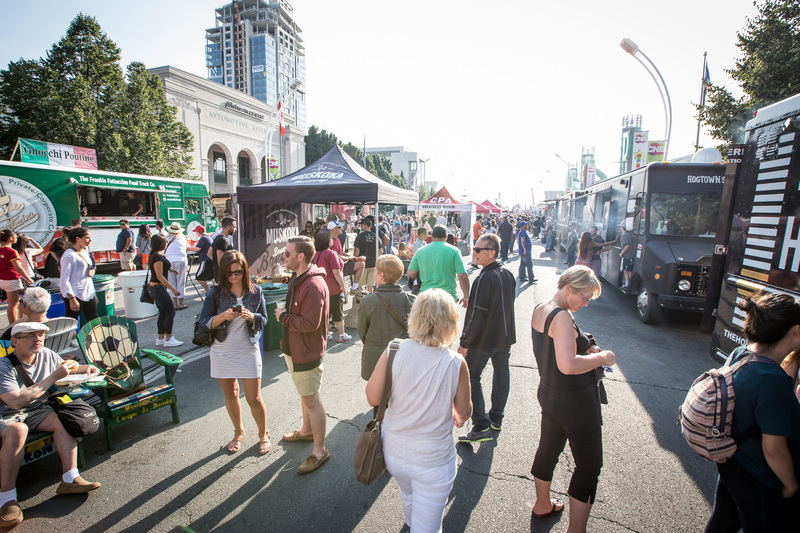 You can never go wrong with a classic when it comes to Toronto food truck eats. 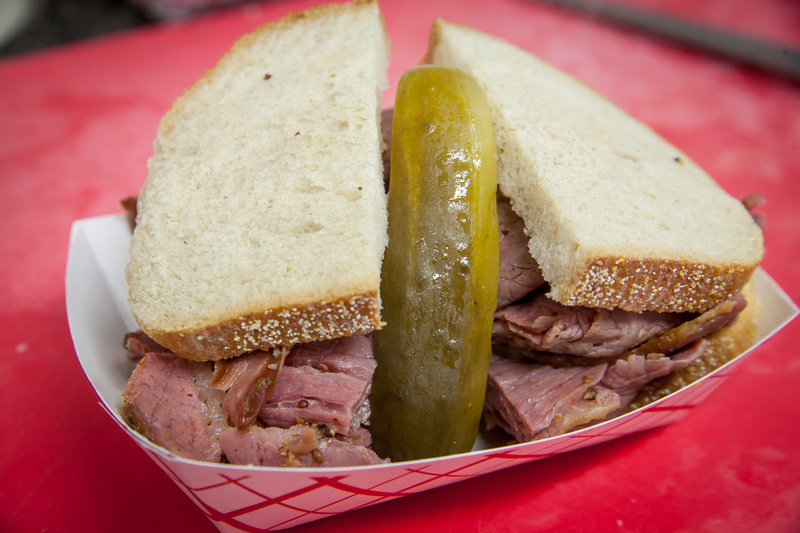 Caplansky’s smoked meat sandwich is still a staple for food truck lovers across the city.